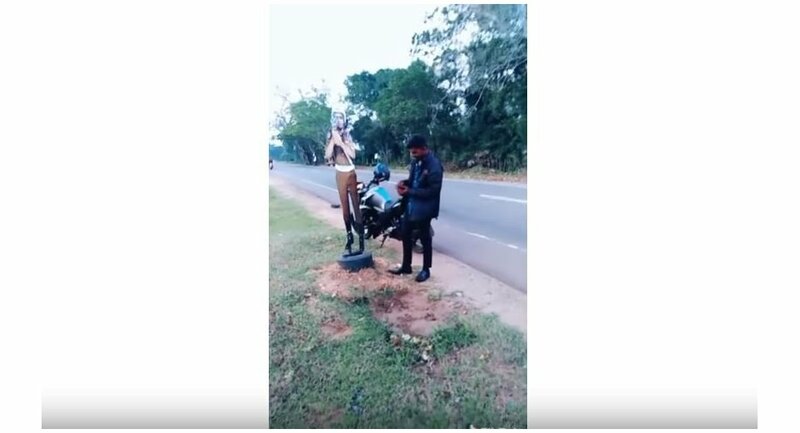 Local police in the northern town of Vavuniya, Sri Lanka posted several cardboard officers on the South Asian country's main roads last year in an effort to deter speeding and other dangerous driving, according to media reports. Two young men were arrested after a video of them reportedly pretending to give a bribe to a life-size cardboard cutout of a traffic police officer was published online, the BBC reported. Later the men were released on bail, while the situation has reportedly sparked major outrage between local citizens and social media users. "The Sri Lankan police are considered one of the country's most corrupt institutions", an anti-corruption NGO Transparency International told the BBC. I think the youth were sending a powerful message aimed at eliminating the bribery culture. It's satire, not a crime. — Ameen Izzadeen (@ameenizzadeen) 4 января 2019 г. — Sri Lanka Tweet 🇱🇰 (@SriLankaTweet) 4 января 2019 г. According to the news reports, drivers often bribe traffic officers to get out of paying penalties and to bypass bureaucracy. In December, two officers were reportedly suspended after a video showing them taking bribes near the president's office had appeared online.